Our blends are formulated for specific acupuncture & acupressure points on the body to help encourage a deeper mind & body connection. 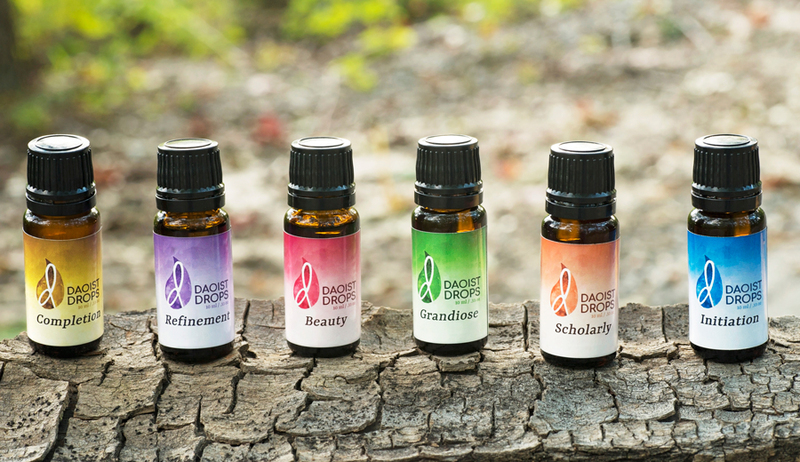 We recommend applying our essential oils on the suggested points 1 to 2 times daily for at least one month to receive the full therapeutic benefits - in alignment with Daoist principles. Give yourself at least 5 minutes after using the essential oils to engage in your personal ritual. To use the essential oils on the skin, we recommend applying a drop or two with an oil like avocado oil, olive oil, or coconut oil before rubbing the essential oils onto the skin. You can also use the essential oils by inhaling the blend throughout your day for added support. To read more about each blend and the corresponding points for application, visit our shop. The oils are for external use only. Avoid contact with eyes and keep out of reach of children. Please consult a physician before use if pregnant or have skin sensitivity. There are many ways to pick the blend to work with. You can look at the oils in the blend and see which scents you are drawn to. You can read the descriptions and see which one speaks to you the most. You can have someone pick one for you. You can draw a name out of a hat. There is no wrong way! Each one has its own medicine to offer, which we can all benefit from in some way. You can also use a blend with a corresponding season to help bring you into harmony with environmental changes. Nature is an integral part of Daoism, and the practice of being in tune with the seasons can teach much about life and health. Our suggestions are to use Initiation in the winter, Grandiose in the winter or spring, Completion in the spring and fall, Refinement in the spring and fall, Beauty in the summer, and Scholarly in the summer. trust yourself in knowing what you need. Similar to acupuncture, acupressure utilizes the same points on the body to either invigorate or relax the body as needed in that particular situation. Instead of using a needle to stimulate the nervous system, acupressure uses a gentle pressure. The other main component of acupressure is the ability to regulate blood flow and Qi in the body; when blood and Qi becomes stagnant, the body has a harder time processing things like emotions, external stimuli, and toxins. You can use acupressure on your own to get movement flowing and increase general well-being or continue working on a specific ailment in-between acupuncture treatments. To apply essential oils topically, we recommend using the blends in conjunction with acupressure. There are many pressure points for aromatherapy that are easy to find and activate on your own or with a practitioner. Acupressure can address various physical and psychological issues by recreating balance and harmony in the body. The art of acupressure involves stimulating specific points on the body by exerting pressure with a thumb, finger, or knuckle to increase health and wellness in the mind and body. After finding where the points lie on your body, you will want to apply increasing pressure for 30 seconds, you will then want to hold the pressure steady for a few minutes, and finally you will apply decreasing pressure for 30 seconds. This should be repeated for a few rounds before moving onto the next point.